Over 300 climate change activists have been arrested during three days of demonstrations in London. 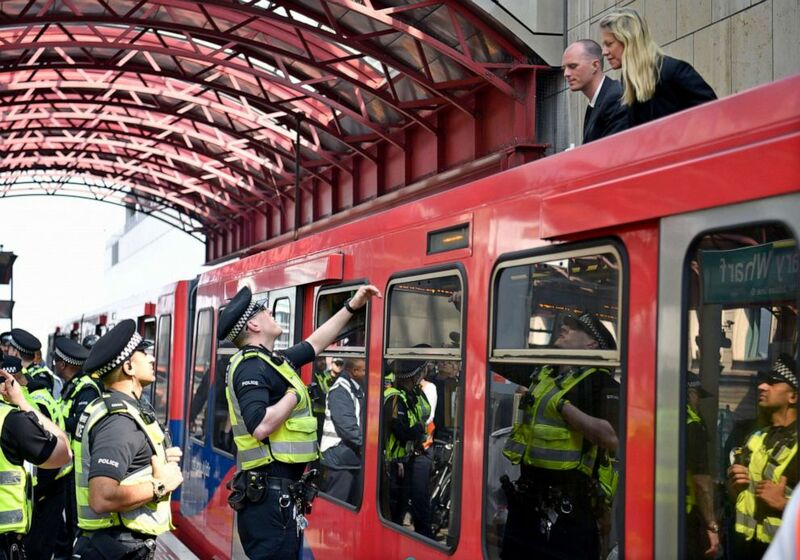 Police speak with protesters from the Extinction Rebellion campaign group who glued themselves to the top of a train at Canary Wharf station in London, April 17, 2019. 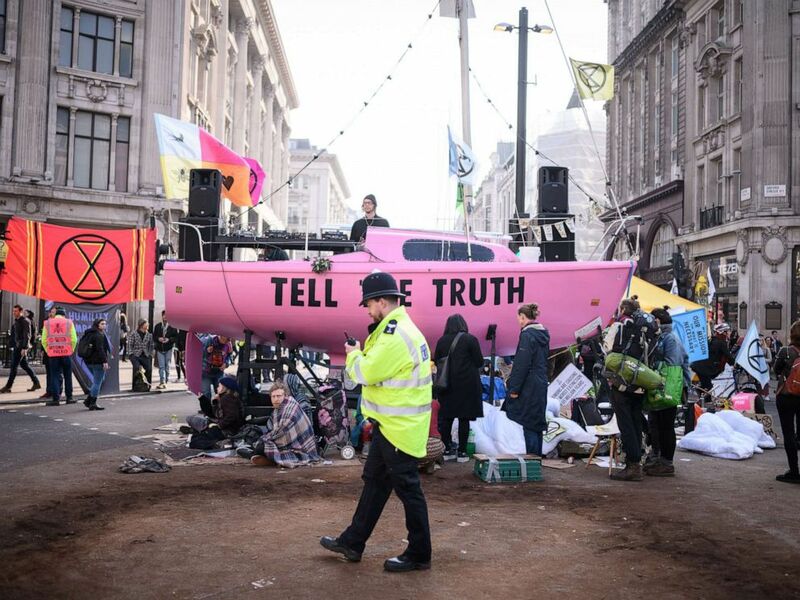 A police officer passes protester's tents and the Extinction Rebellion boat in the center of Oxford Circus on April 17, 2019 in London. "This is a human rights issue. You should not be arresting us. What are you doing? Why are you doing it? Long live Extinction Rebellion!" 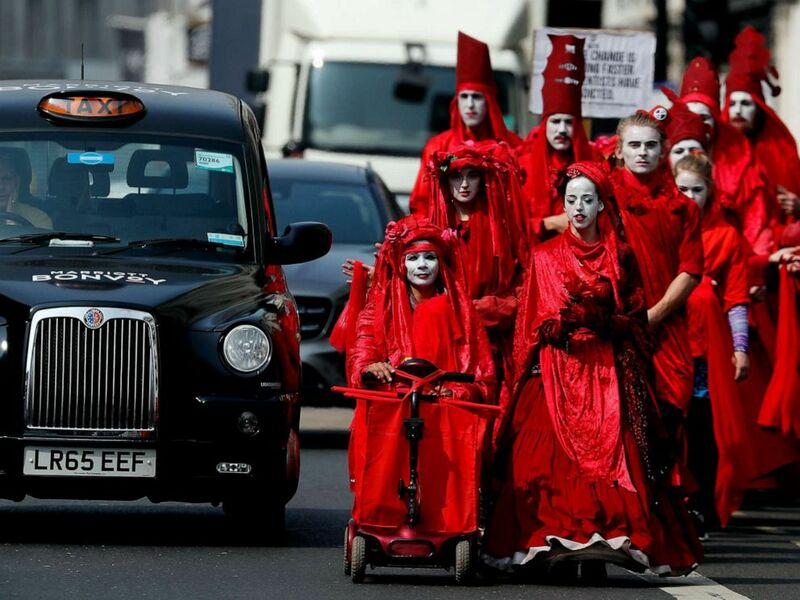 Members of the 'Red Brigade' march in disobedience on the street from Oxford Circus to Piccadilly Circus in London, April 17, 2019. 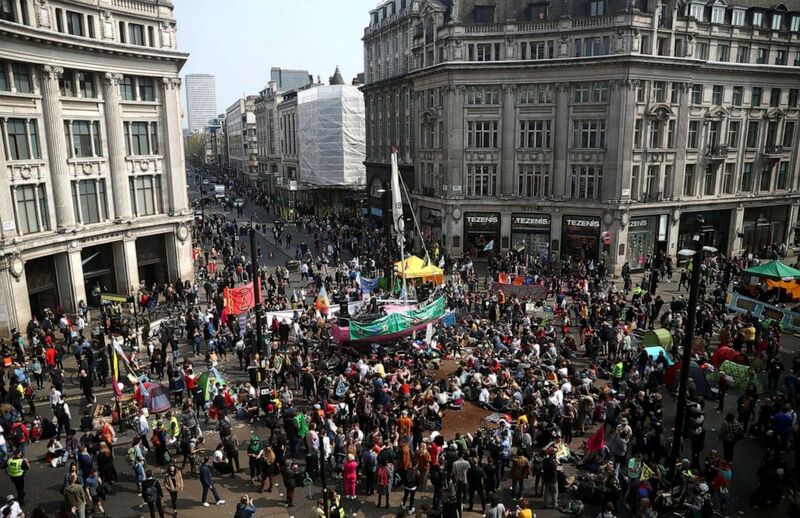 Climate change activists gather at Oxford Circus during the Extinction Rebellion protest in London, April 17, 2019.